Lifetime risks of developing Alzheimer's disease dementia vary considerably by age, gender and whether any signs or symptoms of dementia are present, according to a new study published online by Alzheimer's & Dementia. According to the authors, these are the first lifetime risk estimates for Alzheimer's that take into account what are believed to be biological changes in the brain that occur 10 to 20 years before the well-known memory and thinking symptoms appear. These early changes, prior to overt clinical symptoms, are referred to as preclinical Alzheimer's disease. This designation is currently only for research use until more scientific evidence is produced to determine if it can accurately predict the progression to symptoms. The prevalence of this research-only stage of the Alzheimer's continuum, known as preclinical Alzheimer's disease, in the U.S. has been estimated at nearly 47 million people in a previous study. An example from this newly published report is of a 70-year-old male who has just amyloid, but no signs of neurodegeneration and no memory loss, has a lifetime risk of 19.9 percent. But, if he also had neurodegeneration in addition to amyloid, the lifetime risk rises to 31.3 percent. If, in addition, he had mild cognitive impairment (MCI) plus amyloid plus neurodegeneration, the risk rises to 86 percent. "What we found in this research is that people with preclinical Alzheimer's disease dementia may never experience any clinical symptoms during their lifetimes because of its long and variable preclinical period," said Ron Brookmeyer, Ph.D., from the UCLA School of Public Health, Los Angeles. "The high mortality rates in elderly populations are also an important factor as individuals are likely to die of other causes." 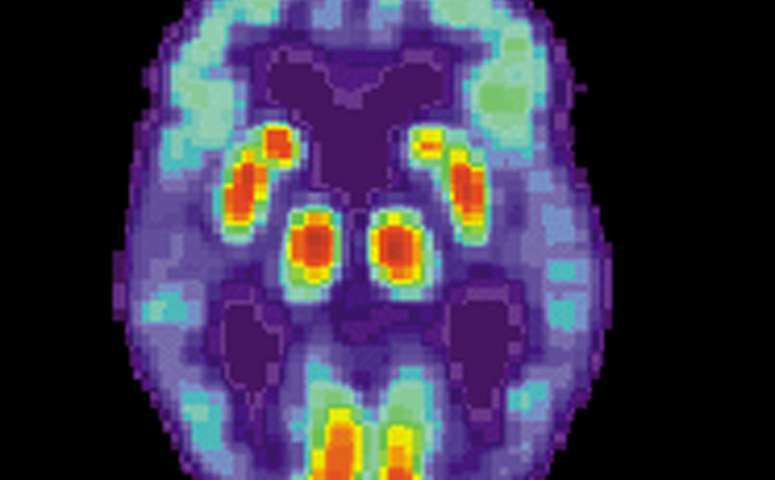 Brookmeyer provides an example of a 90-year-old female with amyloid plaques having a lifetime risk of Alzheimer's disease of only 8.4 percent, compared to a 65-year-old female with amyloid plaques who has a lifetime risk of 29.3 percent. The lower lifetime risk for the 90-year-old versus the 65-year-old is explained by the shorter life expectancy of the older person. That same 65-year-old female with amyloid plaques has a 10-year risk of Alzheimer's disease dementia of 2.5 percent. Lifetime risks for females are generally higher than males because they live longer. Brookmeyer and his co-author Nada Abdalla, M.S., also of UCLA, state that the lifetime and 10-year risks provide an indication of the potential that someone will develop Alzheimer's disease dementia based on their age and screenings for amyloid deposits, neurodegeneration and presence or absence of MCI or any combination of those three. For men and women, having the combination of all three puts them at the highest risk of developing Alzheimer's disease. "Just as there are risk predictors for whether you might have a heart attack, it will be important in the future to measure the likelihood that someone will develop Alzheimer's disease," said Maria Carrillo, Ph.D., Alzheimer's Association chief science officer. "In the future, when treatments are available, this would be helpful, especially for people in the stages before the clinical symptoms appear. For example, those people with the highest 10-year risk of getting Alzheimer's dementia would be high priority to volunteer for clinical trials evaluating Alzheimer's medications or other therapies." After reviewing the existing scientific literature, including some of the largest longitudinal studies available that have measured biomarkers with data from thousands of people, (e.g., The Mayo Clinic Study of Aging) the authors created a computerized mathematical model to ascertain how likely a person would progress in the continuum of the disease. They based their calculations on the transition rates from the published studies and from U.S. death rates data based on age and gender. They acknowledge that future studies looking at transition rates need to be in ethnically diverse populations and also need to consider whether genetic variants such as the Apolipoprotein (APOE) ?4, which puts people at much higher likelihood for developing Alzheimer's disease, would affect the lifetime risk estimates. And future studies will need to be based on research that is more conclusive than the current scientific literature about risk in relation to early biomarkers like presence of amyloid decades before symptoms appear. "There are still many things to consider when assessing the value of screening people for Alzheimer's disease biomarkers. Lifetime risks will help in formulating screening guidelines to identify those who would be most helped by screening, especially in the preclinical stage," the authors conclude. The model used in this study differs from the recently announced NIA-AA Research Framework Towards a Biological Definition of Alzheimer's Disease. Under the framework, if a person does not have amyloid plaques, then they do not have Alzheimer's pathology. Amyloid is one of the biomarkers along with tau tangles considered to be hallmark of Alzheimer's disease. In this model, two of the states of progression (state 3 which is neurodegeneration alone and state 6 which is MCI and neurodegeneration alone) do not include amyloid and would not be considered Alzheimer's under the research framework.